Two (2) pottery items. 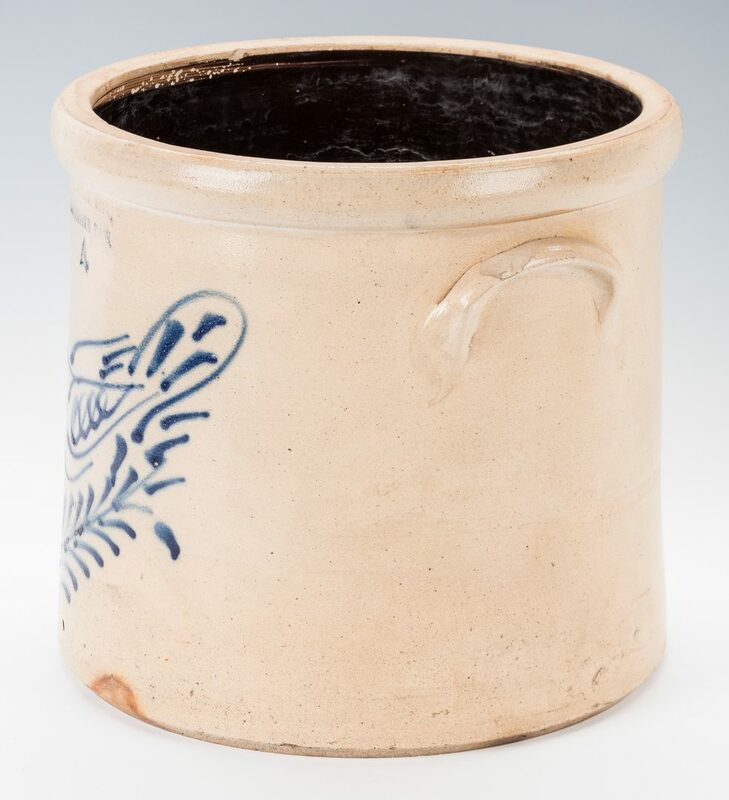 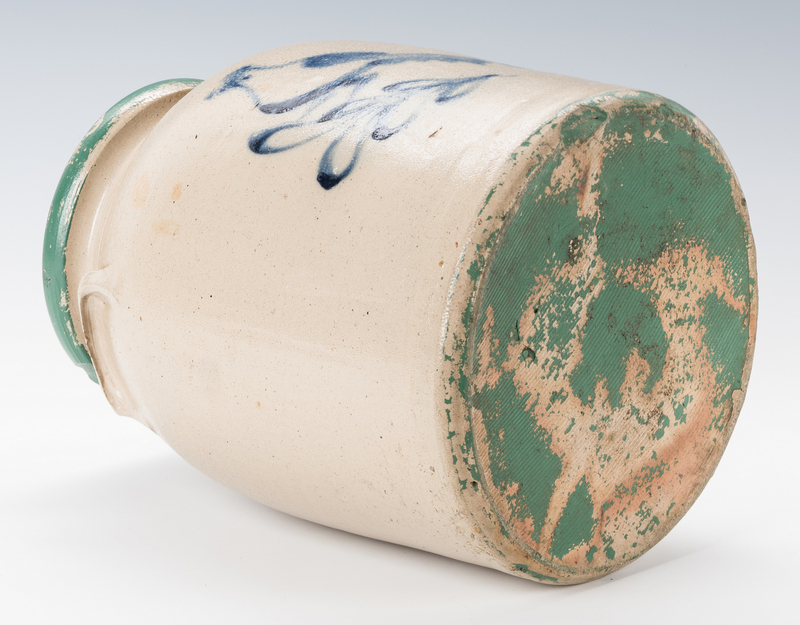 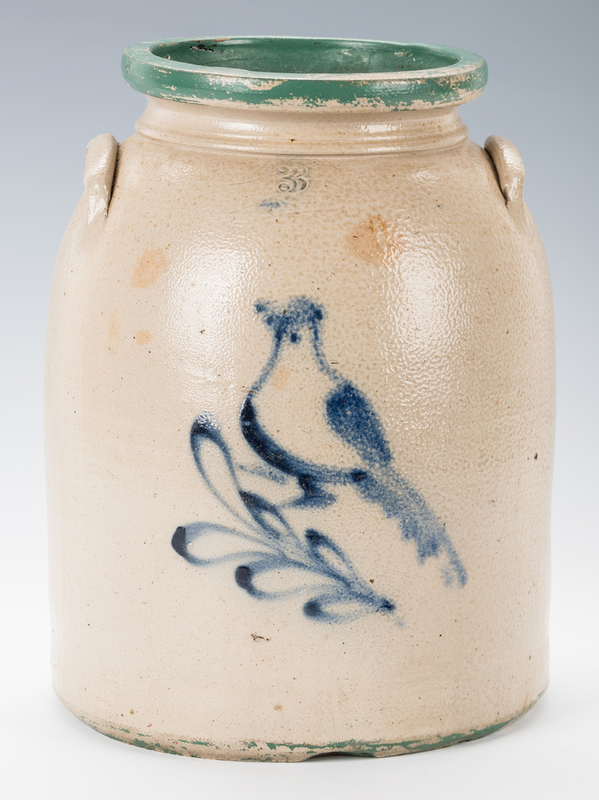 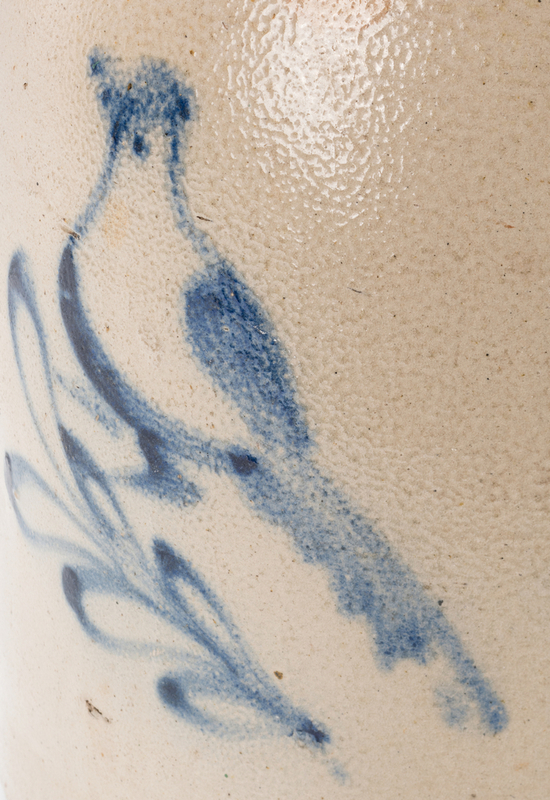 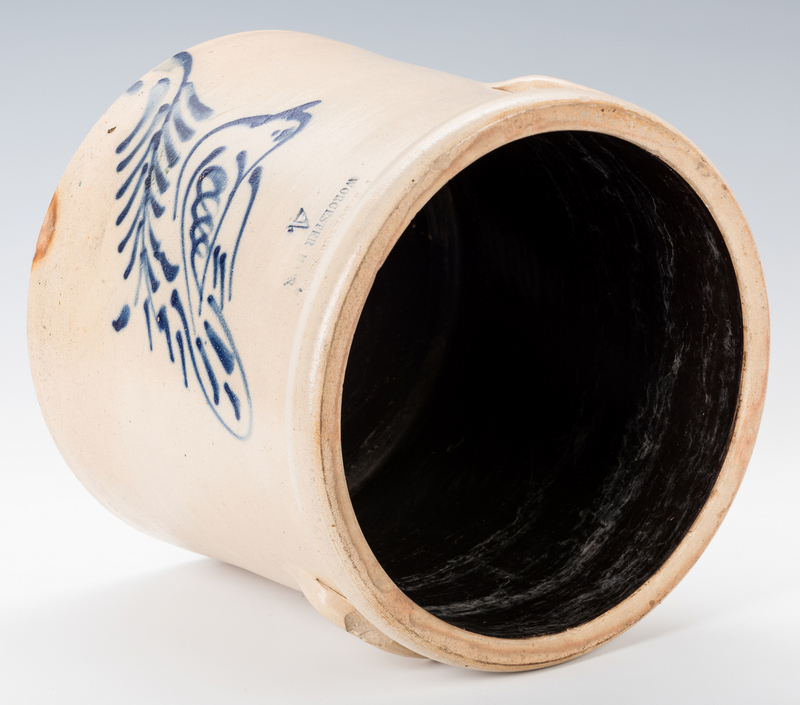 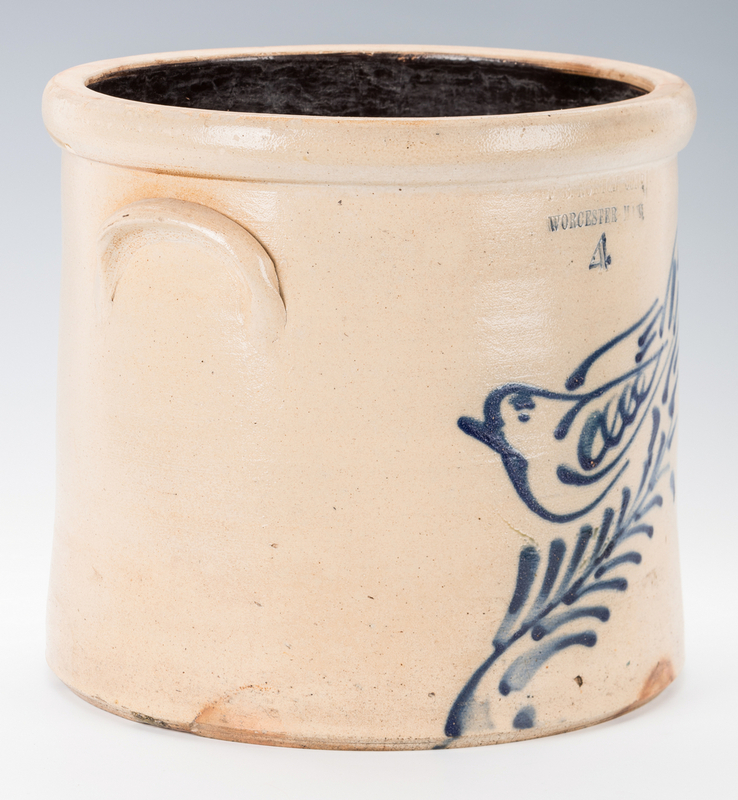 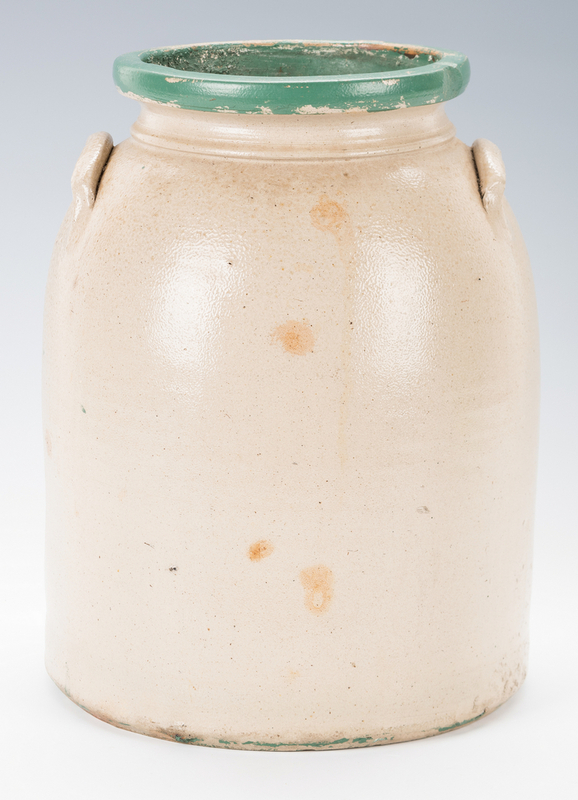 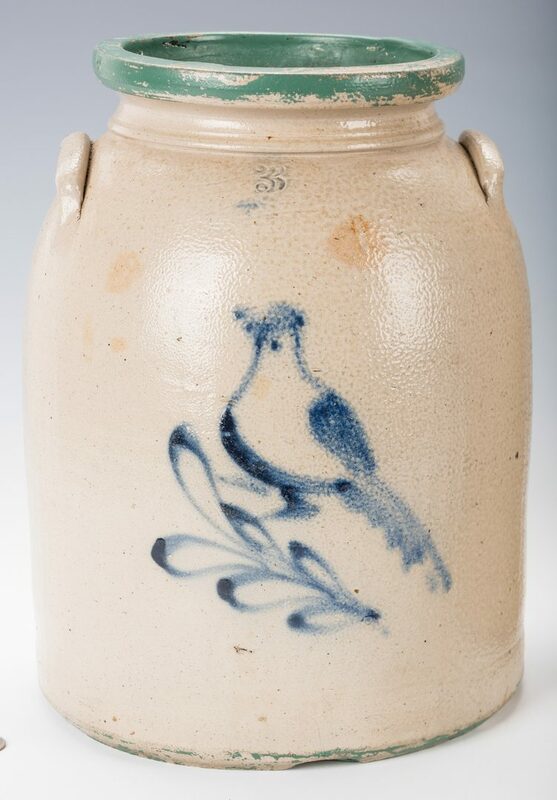 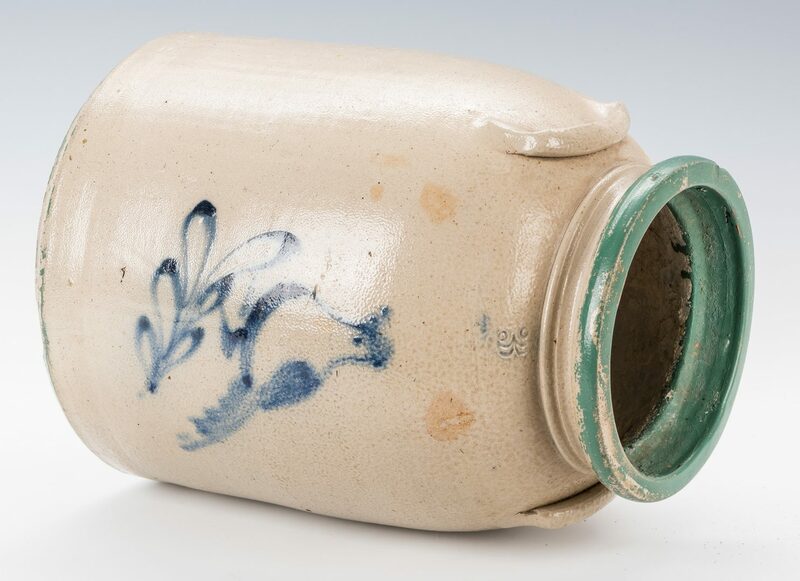 1st item: Cobalt decorated stoneware jar with bird design, likely New York, with tapering neck and lug handles with cobalt slip design of a bird on leaf. 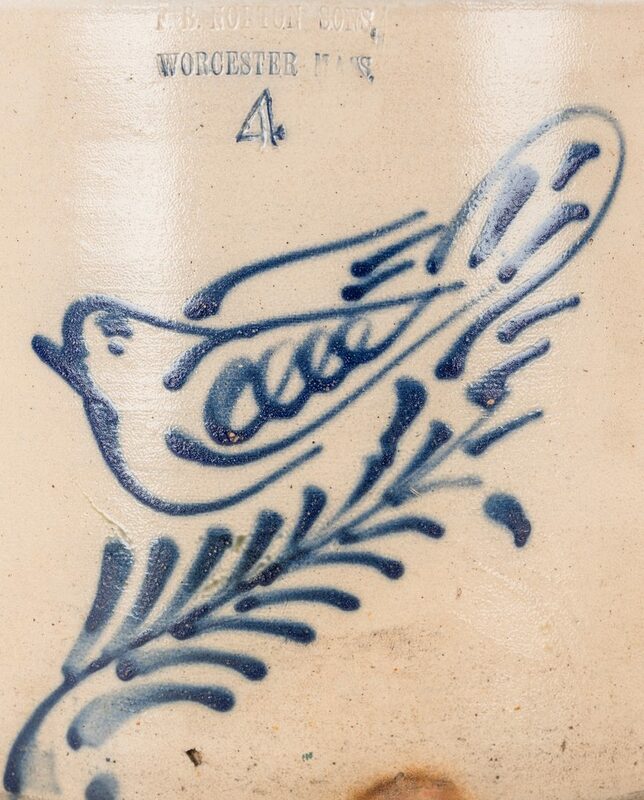 Stamped 3 above the decoration denoting capacity. 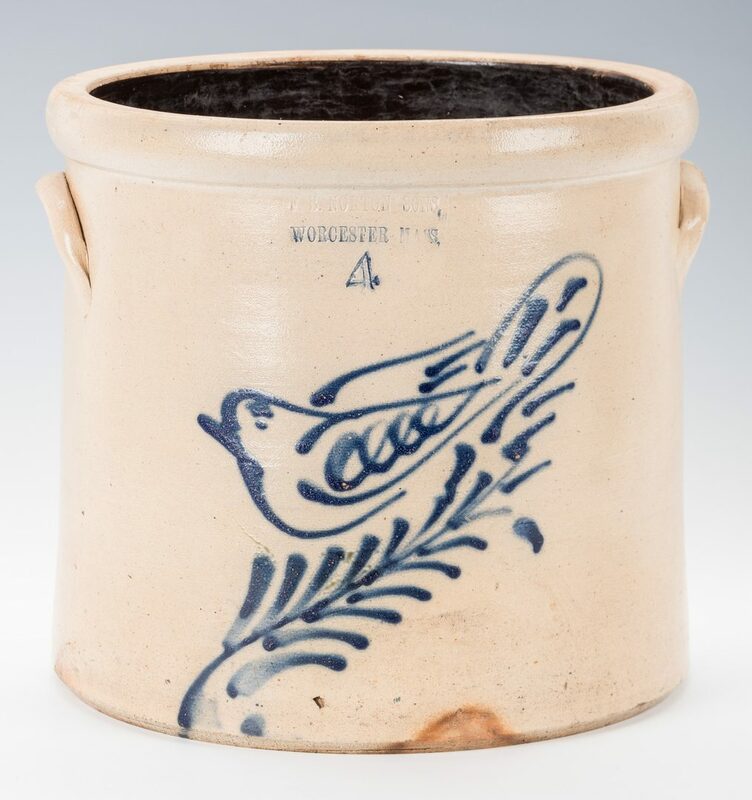 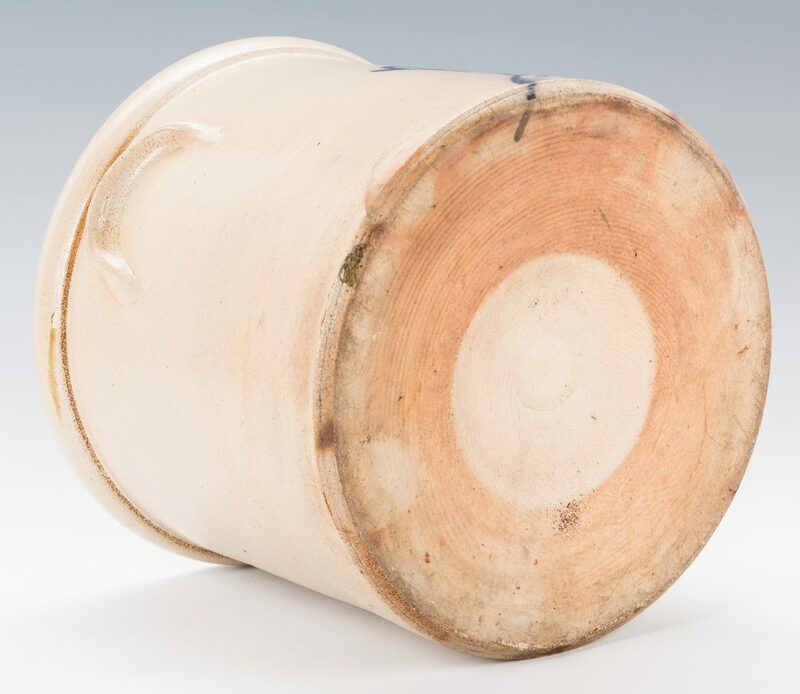 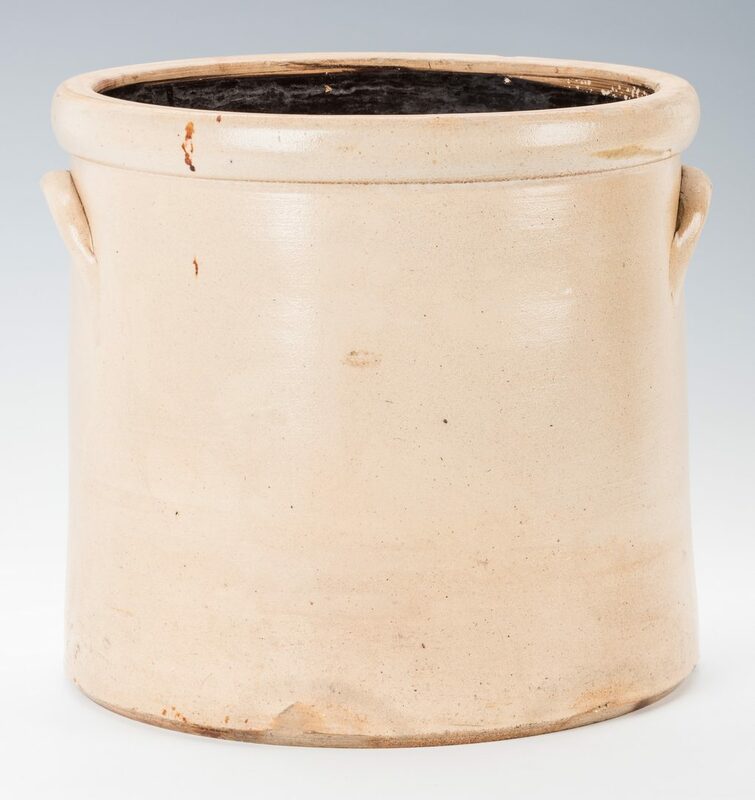 12 3/4" H. 2nd item: F. B. Norton & Co. 4 gallon stoneware jar, decorated with cobalt slip design of a bird or parrot on leaf, cylindrical form with applied lug handles. 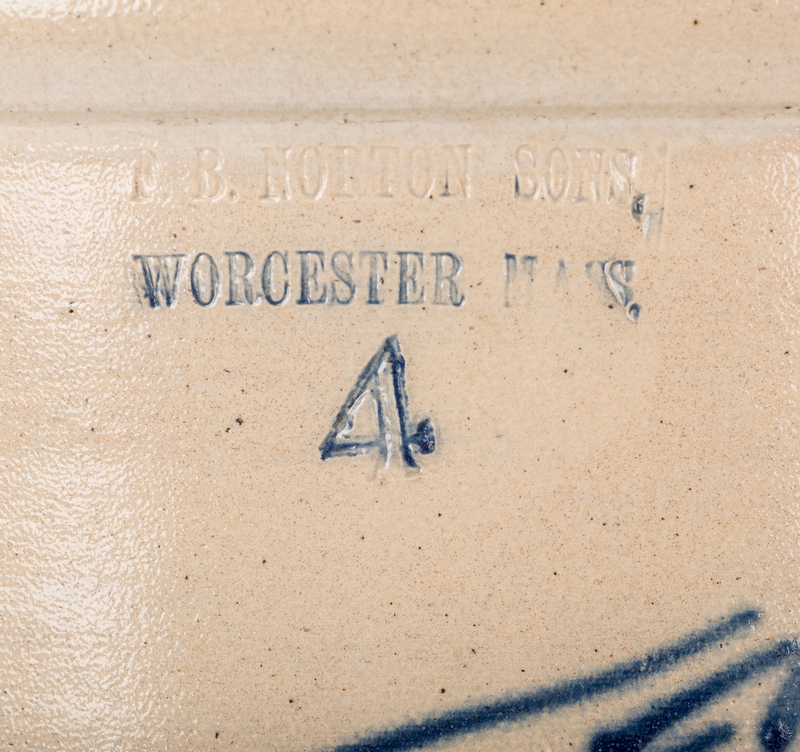 Stamped "F. B. NORTON & CO / WORCESTER. 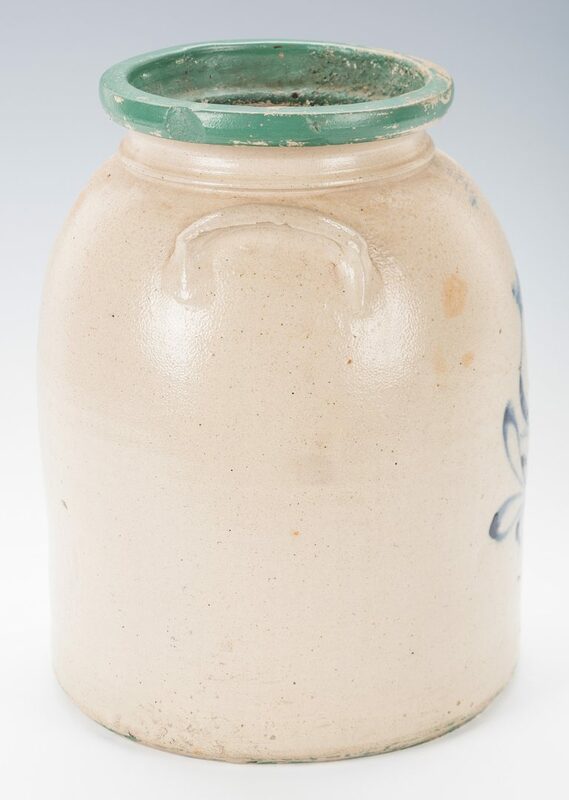 MASS" and "4" denoting capacity above the decoration. 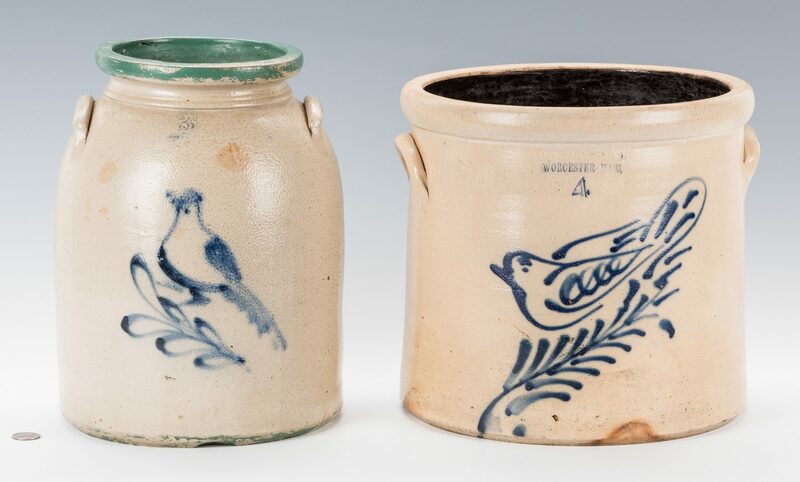 Provenance: Private Knox County, TN collection. 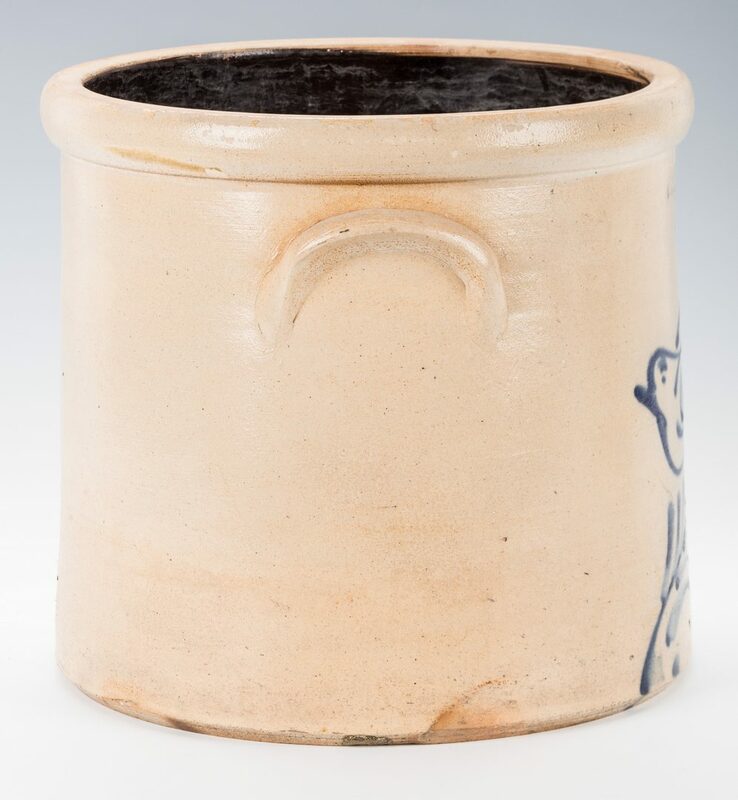 CONDITION: 1st item: Scattered chips to both handles. Later green paint applied to the rim. 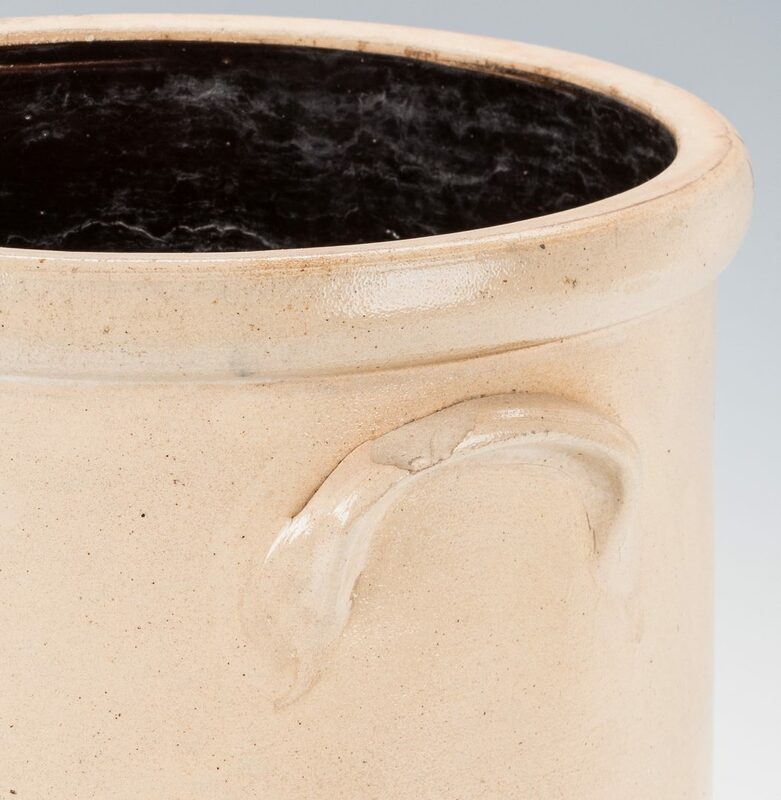 2nd item: Chip to one handle, approx. 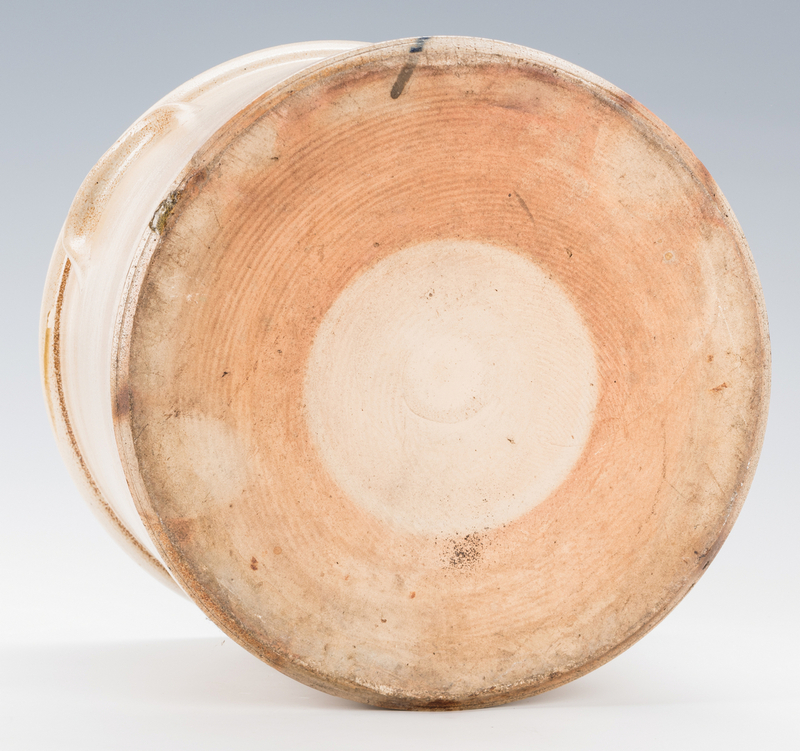 1", otherwise good condition.